With less than two months until Christmas, it’s time to tell Santa what you want to find under the Christmas tree this year. But don’t rush to grab a piece of paper and a pen and jot down what your kids want, because this year you don’t need to write Santa any fake-letters. Instead, you can let your kid tell him what he wants for Christmas. 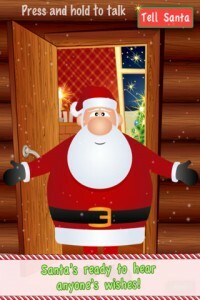 Download Tell Santa Claus from the AppStore and find out how to get in touch with Santa! Nowadays, we share almost everything with our friends online. Whether it’s pictures, videos, quotes or links to sites that we really like, it seems that we want to share more and more everyday. And now, sharing your doodles just got easier with Cartoon Spread. So, take a quick ride to the AppStore and start spreading your cartoons. Cartoon Spread is the app that puts your creativity to the challenge. 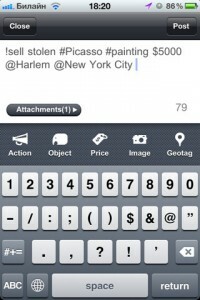 Create an account and just use your fingertips to draw whatever goes through your mind and share it with your friends. Whether you’re having one of those long, boring talks on the phone or you’re struggling to find a creative idea, Cartoon Spread is all you need to free your mind. Start doodling and unwind. 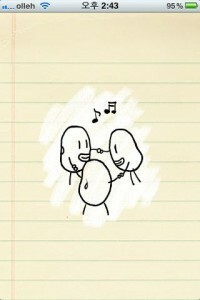 For all you know, you might end up with a great idea and a great drawing that you can share with your friends. There are a lot of stories that evolve around the birth and properties of perfumes. Whether we believe that they were born from the murders of Jean-Baptiste Grenouille or that they have aphrodisiac properties, we all use them…and are quite picky when it comes to purchasing them. In this mystically shaped universe of perfumes, there comes a new fragrance with a story of its own. And what better way to tell the story than with an iPhone app?! We are all familiar with the fable of the boy who cried “wolf.” And most of the time we end up being characters in that story. Whether you are a distrusting person or you find yourself in the situation where others seem to treat you as the boy in the fable, there’s a simple solution to this problem. Its name is the Exonerator and it’s just one app download away. With technology developing faster than you can say technology, we always crave for the newest device on the market. 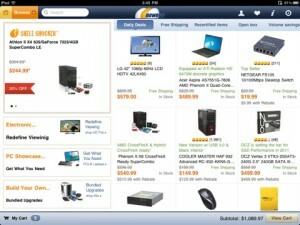 With Newegg, you can find all the electronics you are looking for, but also jewelry, perfumes and even pet supplies. 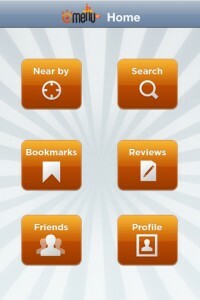 The Newegg app provides you with more or less the same product-browsing experience as its website counterpart. You can search for the item you want to buy and Newegg will list the results according to price, useful links and their subcategories. The best deals of the day are shown on homepage. Adding products to your wishlist or directly to your shopping cart is a breeze. Are you looking for a job but just the thought of spending an entire day filling out profiles on job sites makes you want to take the day off? Or maybe you are looking to buy something or sell the old bike that you had the time to ride only twice in 5 years. Whether you’re looking to make money or spend some, Selloby could be the fastest, easiest way to do it. After you download it, all you’ll need is a free account with them. Selloby will automagically detect your location, so if you choose to search a place to stay, for example, it will show you the places that are up for sale near your location. You could of of course change your location anytime you decide to search for something somewhere else. Click here to get the bite on - It’s sell-a-tastic!